How is the transportation in Venice? Discover all kinds of Transportation in Venice. Yes, you arrived finally in the city of romance. But, how is the transportation in Venice organized? Luckily I have several tips to get around in Venice. Well, for me it is all familiar. But, if you are here for the first time, you'll undoubtedly wonder how they do it. I will give you the best tips about getting around in Venice. Money-saving tip: Venice is compact and walkable. Often I prefer not to use a vaporetto. Of course, when you are going to a nearby island, you need a boat. My advice is to walk as many as possible. 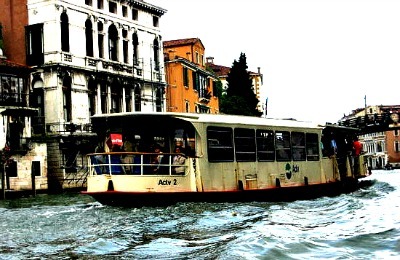 In Venice, you use the vaporetto boat (public transport on water). It is the number 1 transportation in Venice. 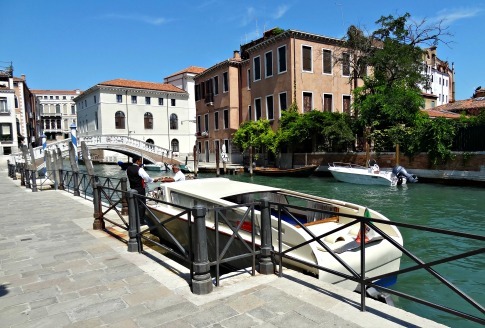 These boats are moving on the Grand Canal and take you to Lido, Murano, Burano, and Torcello. Vaporetto line 1 is the service on the Canal Grande and stops at every station. This liner is ideal for exploring Venice. Another boat is not the public service but more a kind of a Hop-on Hop-off boat. Here you can get tickets for the hop-on Hop-off service. Discovering the city from off the water is ideal! Regular timetables mean that a boat is never far away, and their comfortable seating and panoramic views ensure you'll always be traveling in style. You'll also enjoy a complimentary walking tour with a 5-language audio guide. Gondola costs during daytime about EUR 80, - for a ride of 40 minutes. With a maximum capacity of 6 passengers. In the evening and at night it costs EUR 100, -. This gondola ride does not include a serenade or a tip! But, it is possible. Cheaper gondola tickets in a shared gondola inclusive a serenade. Check here if this gondola serenade is still available. A Traghetto is a public gondola crossing the Grand Canal. A small pound to crossover. For tourists, it costs approximately EUR 2.00 each time. The Traghetto boarding places are found along the Grand Canal 7 times. A water taxi costs EUR 9, - + EUR 1.80 per minute. They charge EUR 6, - extra if they have to pick you up at your hotel at night and luggage. TIP! Before you get in a water taxi, you have to negotiate the price. The bicycle as a means of transport. A bike tour through the city costs EUR 39, - p.p .. You have a guide and you cycle over the island of Lido and some other places. Very lovely and unique! Walking: Make Venice an adventure! Do differently than most tourists. Find the unknown streets and explore Venice. The best way to get lost! You'll always find your way back if you follow the Grand Canal. The architecture, the buildings, and the super cozy traditional restaurants are great if you encounter unexpectedly! The vaporetto is the public transport inside Venice. The water buses are going up and down on the Grand Canal and to the surrounding islands. Perfect transportation in Venice if you need to go from one point to another. Vaporetto no. 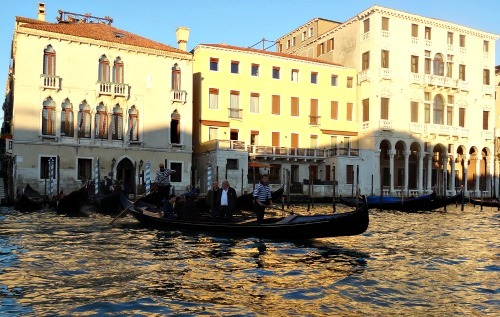 1 stops at every station on the Grand Canal. The Grand Canal is the main waterway that runs through Venice. It is the most beautiful route in the world on a boat. What you can do is a tour on the Grand Canal. Because I have a partnership with Tiqets.com (they have a helpdesk for questions) I have special tickets for a tour on the Grand Canal. 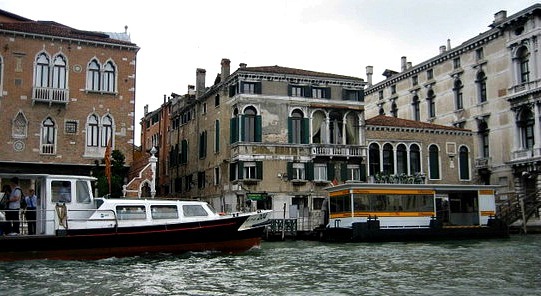 Taking the vaporetto from Piazzale Roma to Piazza San Marco is about 45 minutes. A total of 20 lines serve you in and out Venice. A single water bus ticket cost € 7.50, including the price of luggage up to 150cm. The ticket is good for 75 minutes. During this time, you can change vaporetto lines. The popular Travel Cards are the best solution if you want to explore Venice and the surrounding areas. This ACTV service allows unlimited travel, except for the routes Alilaguna and the ACTV routes 16, 19, 21 and Casino route. Purchase the TravelCard tickets online and use your smartphone. 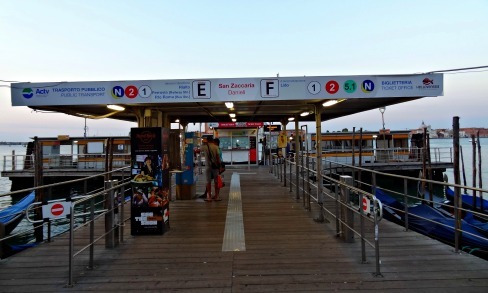 To use public transport in Venice, you can purchase these tickets. 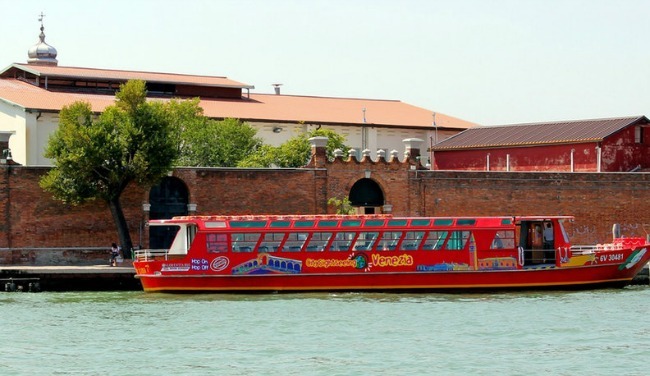 You can buy the tickets at the Hello Venezia ticket agencies, and various self-service ticket machines at e.g., Piazzale Roma, Rialto, Venice Marco Polo Airport and Punta Sabbioni. Another, an option is to buy your tickets online: Buy here the vaporetto tickets upfront and use your smartphone to enter the vaporetto boat. If you do not have a ticket, buy a card from the conductor to avoid a fine. Are you getting on board the vaporetto boat? Slide the tickets along the white reader on the platform and jump in. It is an ideal picture of transportation in Venice. A romantic gondola ride… TIP! If possible, find a quiet area to take on a gondola. These rides are mostly more extended and less expensive. A ride costs easily between € 70 and € 100 for 50 minutes, depending on where you start and how busy it is. I don’t like it when it is too busy in Venice, and you collide with another gondola. The canals are narrow. If there is a lot of traffic, your gondola ride goes slowly and the 50 minutes are over before you know it. Another possibility is to share a gondola with a discount ticket. This ticket you can purchase online via your smartphone and show it before you enter a gondola. There are even tickets where you will receive a romantic melody. Luxury... But great if you need to be somewhere fast and comfortable. Notably, on hot days and with small children, a taxi is super. Often you can order a taxi at your hotel reception desk. Surprisingly, a lot of people fit in a luxury taxi boat. A group of eight people is possible. But, don’t forget this kind of transport is quite expensive. Piazza San Marco – San Marco Airport will cost you around € 120 (30 minutes). The Venice Connected Card? 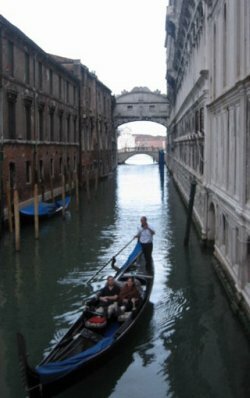 Is the "Venice Connected Card" convenient? The Venice Connected Card (formerly the Venice Card) offers an a la carte package of transport and other services. However, it is a frustrating pricing scheme that is bound to a specific time. You can purchase it in advance. Buying a Connected Card in advance means that you need to plan all sights. I prefer when I’m in Venice to purchase a Venice Travel Card. The entrance to a museum I pay separately. You've read about transportation in Venice. There is plenty to explore. Discover Venice on my site and get more information about this beautiful Italian city.